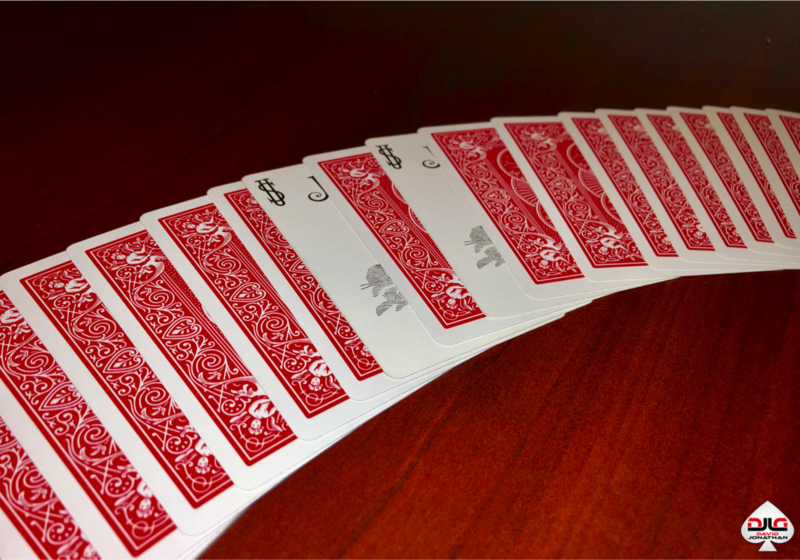 The jokers are given to a spectator to hold, then a card is selected. 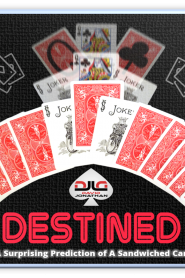 The chosen card is shuffled and lost in the deck. The cards are spread face down and the spectator freely inserts the jokers face up around any single card, isolating it from the rest. This mystery card is now turned over to reveal that, incredibly, it is their selected card! The effect could end right here, but in an unexpected finale, the jokers are turned over to reveal a jaw-dropping prediction! So grab a deck, a marker, and start learning the clever secrets today!